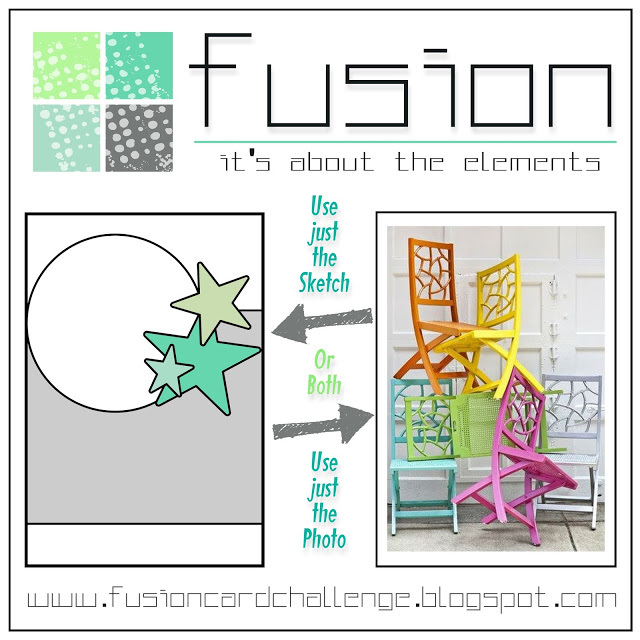 The first thing that drew me into this week's Fusion challenge was the rainbow stack of chairs. I love all these beautiful colors. 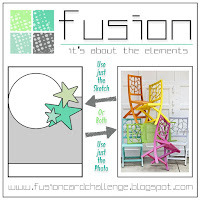 I decided to sponge a rainbow striped circle with the colors from the chairs. First I diecut a circle and used it as a stencil. Then post its providing mask for the stripes as well helped keeping the circle in place. Lastly I sponged on the different colors. This by far is one of my favorite cards. 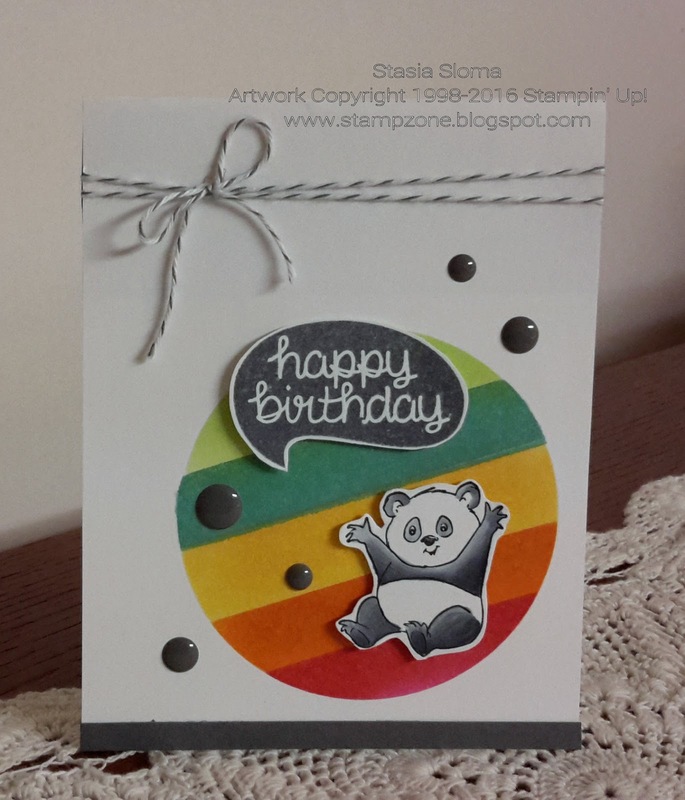 That Panda looks so happy to be frolicking around in the rainbow! 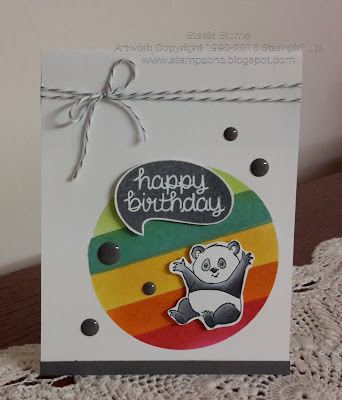 Super cute design! Thanks for playing along at Fusion!